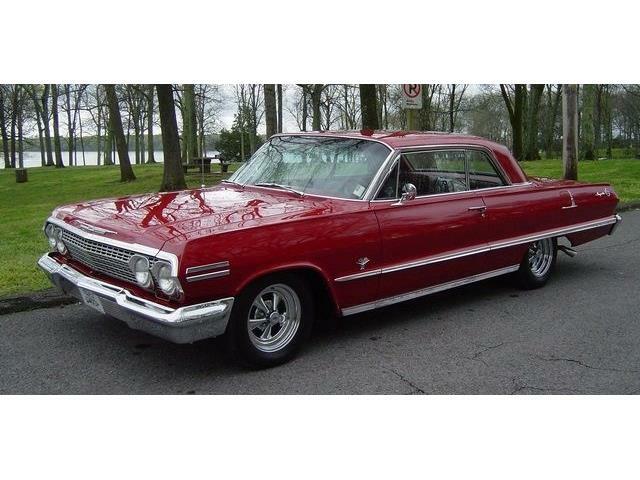 The Pick of the Day, a 1960 Chevrolet Impala Sport Coupe, is an audacious spaceship of a car. 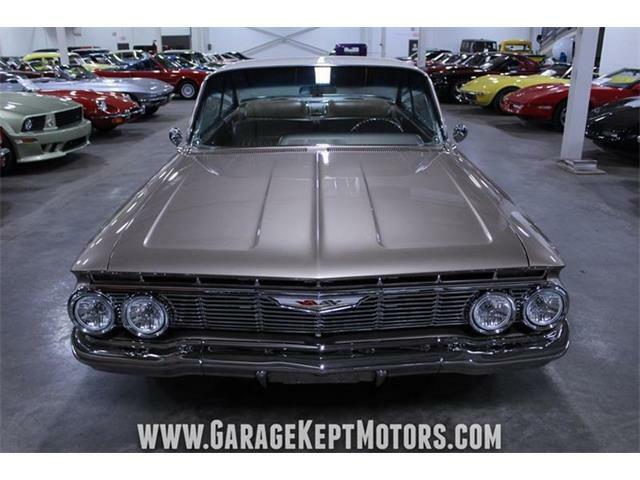 The Pick of the Day, a 1960 Chevrolet Impala Sport Coupe, is an audacious spaceship of a car. 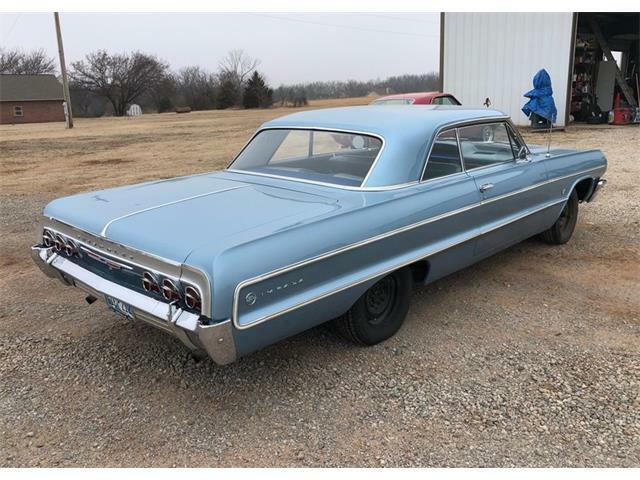 With chrome-plated rockets shooting along its flanks, compete with vapor trails, and a bubble-top roofline that’s more glass than steel, the Impala seems to be swiftly flying low even when parked at the curb. And those tailfins, like a pair of actual wings (rumor was that at high speeds, they could provide some treacherous lift). 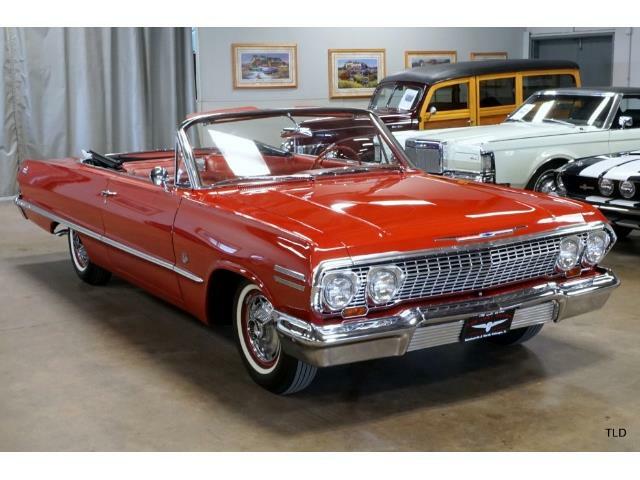 They were inherited from the 1959 model year Chevy, of which the ’60 model was seen as a toned-down version of that baroque design. 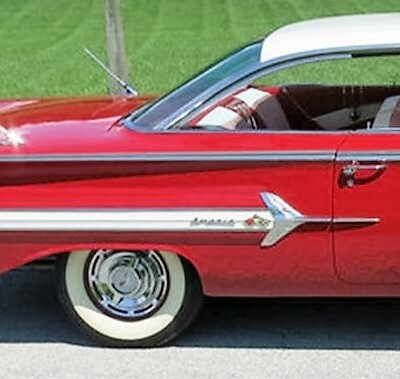 As all Chevy folk know, the unique tailfins disappeared for ’61, never to be seen again. 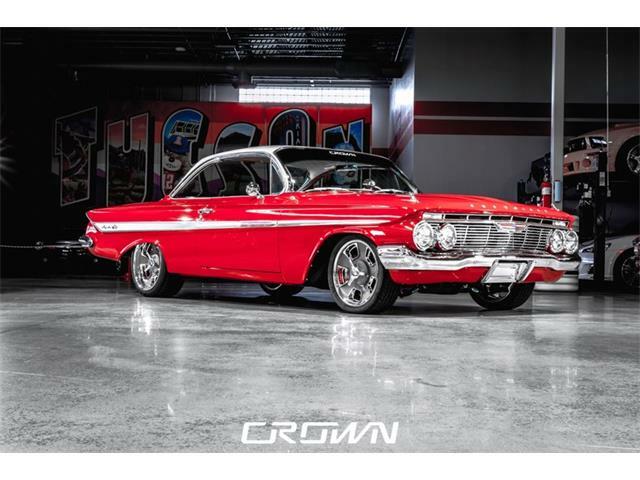 For people who love this era of extreme Detroit design, the ’60 Chevy hardtop hits the spot on a number of levels, embracing the open-air optimism of the day with its airy passenger space and aircraft-inspired accents and dashboard. 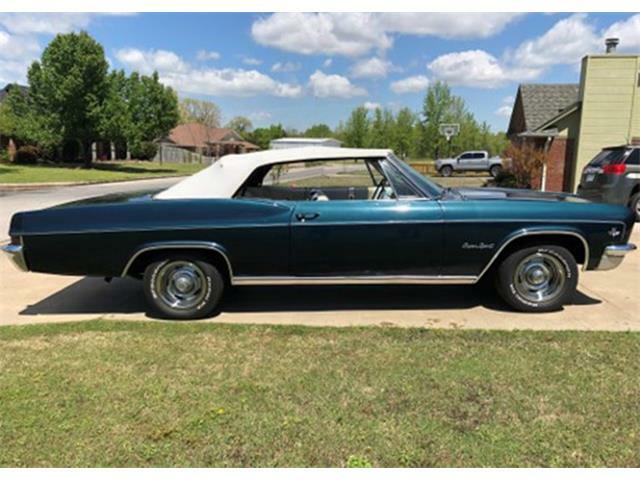 The Impala looks ready to conquer the interstate, coast to coast, with the radio blasting rock ‘n roll from a Top 40 station. 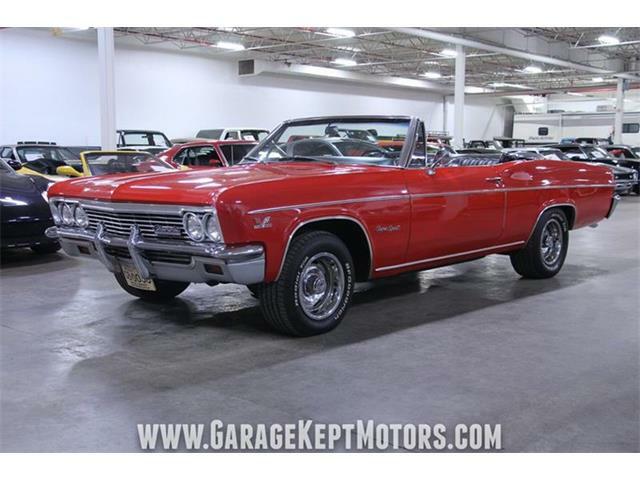 The ’60 Chevy advertised on ClassicCars.com is described by its West Chester, Pennsylvania, seller as a 59,000-mile, rust-free car in Roman Red and Ermine White, with a red-and-white hounds-tooth interior to match. 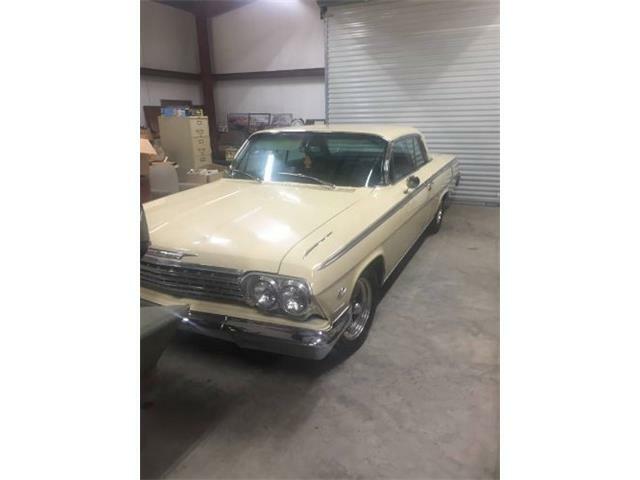 There is no word in the brief description about restoration, but the car looks exceptionally clean and straight in the numerous photos, and most likely has been extensively refurbished. 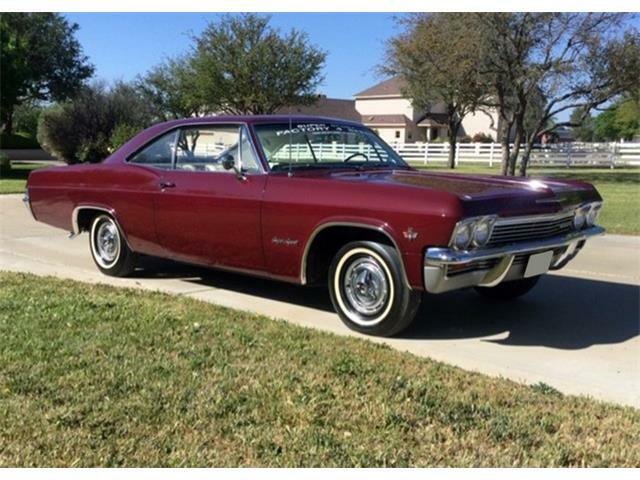 The dealer describes the Impala as having “brilliant chrome, power steering, aluminized dual exhaust, AM radio with dual antennas, dual side view mirrors, bumper guards, full wheel covers with spinners, wide whitewall tires and fender skirts,” although there is no sign of fender skirts in the photos. The car is powered by its original 348 cid big-block V8, which is good for 280 horsepower, hooked up with automatic transmission. The under-hood pictures show a well-detailed engine compartment. 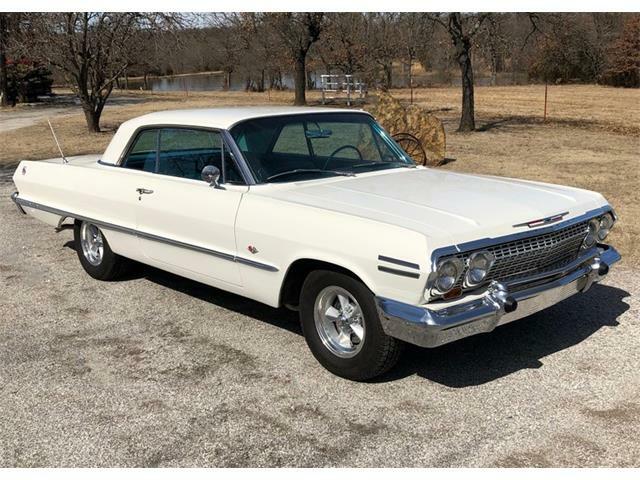 The Impala seems fairly priced at $35,500, which might seem like a lot for a retro Chevy, but this one looks to be special indeed and worthy of the asking price. Besides, all that would be forgotten once you get behind the wheel and prepare for liftoff.